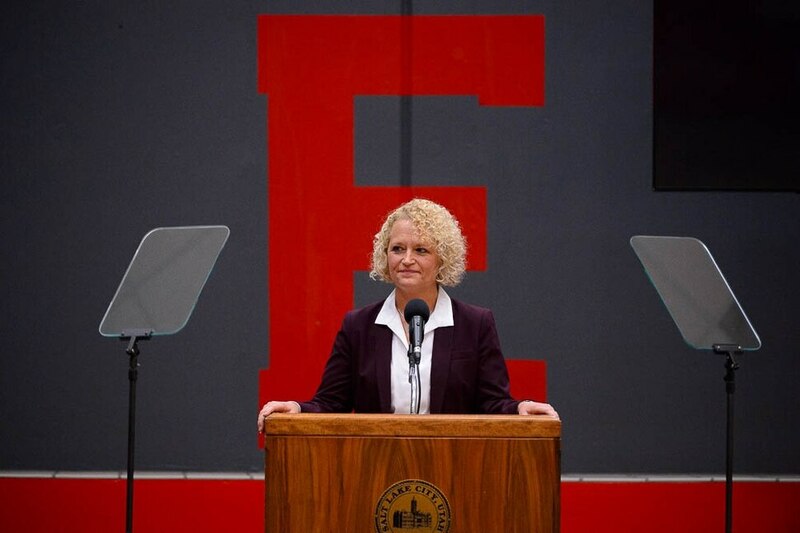 (Trent Nelson | The Salt Lake Tribune) Salt Lake City Mayor Jackie Biskupski gives her State of the City address at East High School in Salt Lake City on Thursday Jan. 17, 2019. (Trent Nelson | The Salt Lake Tribune) Salt Lake City Mayor Jackie Biskupski gives her State of the City address at East High School in Salt Lake City on Thursday Jan. 17, 2019. (Trent Nelson | The Salt Lake Tribune) Salt Lake City Mayor Jackie Biskupski gives her State of the City address at East High School in Salt Lake City on Thursday Jan. 17, 2019. (Trent Nelson | The Salt Lake Tribune) Salt Lake City Mayor Jackie Biskupski gives her State of the City address at East High School in Salt Lake City on Thursday Jan. 17, 2019. (Trent Nelson | The Salt Lake Tribune) Salt Lake City Mayor Jackie Biskupski gives her State of the City address at East High School in Salt Lake City on Thursday Jan. 17, 2019. 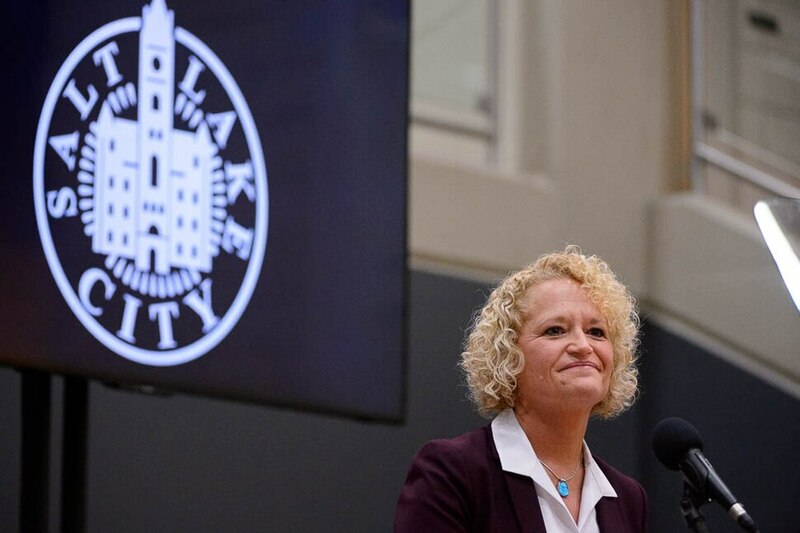 Salt Lake City Mayor Jackie Biskupski — facing a re-election year with an already crowded field of contenders and early polling that shows she could be in trouble — used her State of the City address on Thursday to focus on her accomplishments over the past three years. Some of the items she focused on were hyper-local, such as transportation and public safety. But she also detailed progress on problems that haunt not only the city but also the state and nation, such as climate change and affordable housing. She lauded the City Council’s passage in May of a half-penny sales tax increase, which she proposed during her last State of the City address and that will help fund initiatives like transportation and public safety. She also praised voter passage in November of an $87 million road bond city leaders say is needed to fix failing roads — two-thirds of which are in poor or worse condition. Biskupski also celebrated the city’s adoption in 2016 of a 100 percent clean energy program and of the creation last year of two net-zero fire stations and a new bulk waste collection program. Though that was met with anger by a number of city residents, she said it has increased the amount of material the city has been able to recycle from zero to 15 tons. 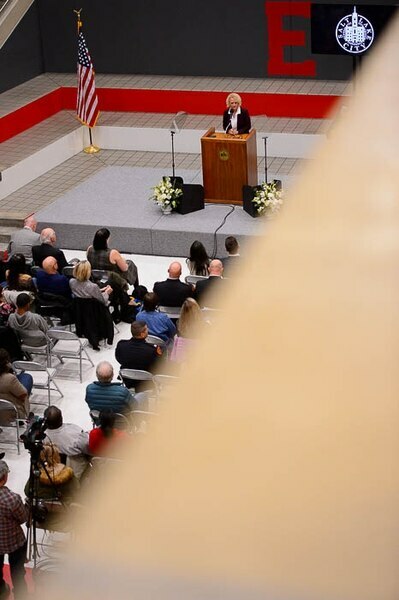 When it comes to public safety, Biskupski noted that the Salt Lake City Police Department graduated 81 cadets in 2018, which includes 27 new positions to the department. And the city is safer now than it was before she was mayor, she noted, with crime down 25 percent over the last three years. Finally, Biskupski said the city is on its way to addressing what some have labeled an affordable housing crisis — with recent research estimating Utah has a housing gap of at least 43,500 dwellings and that as many as 100,000 households are putting 50 percent or more of their income toward housing costs. To address that challenge, Salt Lake City passed its first affordable housing plan in more than two decades last year and has added a total of 2,500 affordable housing units since 2016 — including 400 units of transitional housing to help people move out of homelessness, she said. Initiatives like the city’s House 20 program, which is designed to help stabilize people experiencing homelessness, and the Welcome Home Program, which offers low-interest loans to stable buyers with limited income, have also strengthened the state’s affordable housing options, she added. While the mayor’s address on Thursday focused mostly on past accomplishments and less on future plans, she said that’s because 2019 will be about “implementation” of the foundation she and city staff have laid so far. In the coming year, Biskupski said the city will re-examine its zoning requirements to find ways to incentivize affordability and accessibility, begin a review of its mass transit program to make it more robust and accessible, and work toward its goal of having 50 percent of government operations powered by clean energy by 2020. The city will also develop a new complete streets ordinance, she said, which will consider all modes of transportation. Missing from Biskupski’s speech was any mention of the inland port, which was widely considered the most consequential policy decision affecting Salt Lake City in 2018. The distribution hub planned for the city’s westernmost area is expected to be the state’s largest ever economic project and is expected to bring increased rail, truck and air traffic along with tailpipe emissions. State lawmakers unveiled and passed with little debate the bill creating the project late at night on the eve of the final day of the legislative session. The legislation prompted criticism from Salt Lake City leaders, who viewed it as an inappropriate play for land and tax money and the council spent the next several months working to find a compromise with the port’s supporters at the Capitol, which they did in a special session without Biskupski’s involvement. “I don’t know what to expect this year [with the port] because things are moving so slowly,” Biskupski said after her speech. “I’m hopeful that things will change and the municipal powers will come back to the city so that we can develop that area in a way that truly resonates with this community and our values,” she said. At least five candidates have already lined up to challenge her in the race, including Former Sen. Jim Dabakis, Latino businessman David Ibarra and former Salt Lake City Councilman Stan Penfold. Richard Goldberger, a freelance journalist, and Aaron Johnson, a veteran and novice politician, have opened personal campaign committees to run in the race. So has David Garbett, who left his role as executive director of the Pioneer Park Coalition to contemplate his candidacy. However, he has previously told The Salt Lake Tribune he isn’t 100 percent in. After her speech Thursday, Biskupski said she’d made a concerted effort to separate the State of the City from future campaigning.